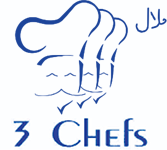 We at 3 Chefs aim to bring all of our customers the very best value for money, services and food around Derby. Give us feedback. The best Kebabs in Derby. Never been less than really pleased with the quality, quantity and the delivery of the food. Will not go anywhere else. Arrived very quickly, great pizzas as always. Always good food & prompt service. Always order from you guys. Moved to Hilton and thankfully you still deliver! First time I’ve ordered from 3chefs since moving to the area and the delivery was 10mins quicker then said on the app. The food was roasting hot and taste good. Defo recommendations for me. Food always great, friendly delivery guys, completes my Friday night! Best take away in Littleover.